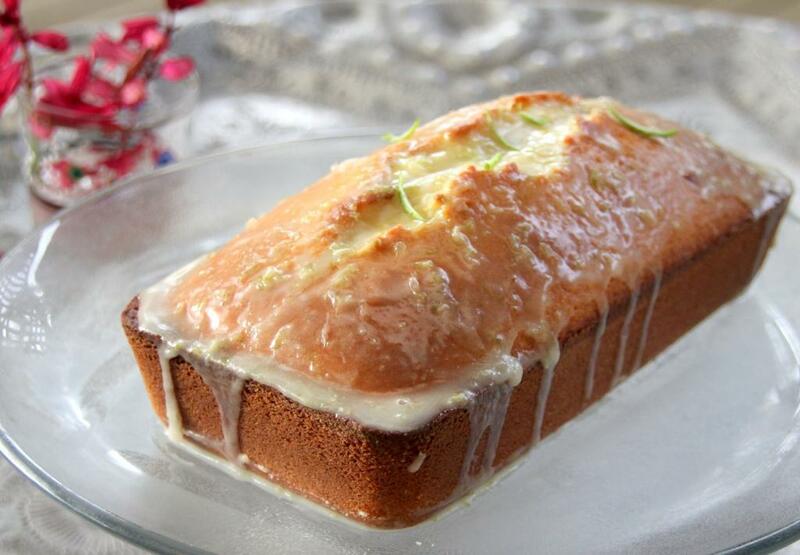 The secret of the French cuisine is butter, butter and more butter – this French Lime cake ain’t no exception: it is moist, dense and has a very delicate flavor of Lime and of course butter. Perfect to be eaten with a beautiful cup of tea. Pre heat the oven to 180C and grease a bread loaf pan and sprinkle some flour into the greased pan and knock it around until the whole inside of the pan is coated with flour. Knock out the flour excess. In a large bowl beat the eggs with the sugar and the salt until you have a smooth light cream. Slowly add the sifted flour. Add the cream, the lime zest, the lime juice and the butter. Stir in the baking powder. Spread the mixture in the prepared pan and bake it for about 40min. For the icing, just mix up all ingredients in a bowl and spread on the top of the cake while still hot.